Viola Williams has been crunching numbers and working out possible solutions since last week, when the General Assembly fast-tracked a controversial bill that makes sweeping changes to early voting. As elections director of Hyde County, Williams was already making early voting plans for the November election. In one of the state’s smallest counties (population about 5,800) that means just two early voting sites — the board office on Main Street in Swan Quarter and one at Ocracoke, the small island that lies two hours and forty-five minutes away by ferry. When Williams heard that the new law would mandate all early voting sites open from 7 a.m. to 7 p.m. for 17 days, she knew what it meant for her office. They would no longer be able to afford the Ocracoke site. For Williams and for many elections directors in smaller counties across the state, the answer is that they can’t. The law came well after budgets were set and, for many, after their site and staffing plans were already in the works. Traditionally, boards of election and county directors have had the latitude to decide when to open their early voting sites and for how long based on the traffic in their area and years of experience with local voting trends. In mandating days and hours for all 100 counties in the state, Williams said, the law will force many to scale back the number of early voting sites they provide in order to afford the days and hours mandated. Even in the state’s larger counties, elections directors are scrambling to react to the new law. Typically Guilford County will open up its office in Greensboro and its office in High Point for the first week or so of early voting, Collicutt said. They would be open from 8 a.m. to 5 p.m. — typical office hours. Then his office would add more sites throughout the county later in the process, when early voting turnout has historically increased. Guilford usually has nine to 12 sites depending on what kind of election it is and what turnout they can expect, based on their data on previous elections. Those sites are generally open from 10 a.m. to 6 p.m., which the county has found allows them to capture people when they vote most heavily. The mandated 17 day, 7 a.m. to 7 p.m. schedule will change those calculations, Collicutt said. The days and the hours that sites will need to be open will be the same whether it’s a historic-turnout presidential election or a low turnout municipal primary. Michael Dickerson, elections director in Mecklenburg County, agreed. The new schedule will stretch resources further and cause him to hire more staff to avoid working people for 12 hour shifts. As the state’s largest county, they’ll likely swing the costs and extra work involved in reacting to the law — something Dickerson said he knows is easier for his office than for smaller counties like Hyde. Dickerson, like most of the state’s elections directors and boards of directors, said he would have appreciated more lead time before such dramatic changes. The bipartisan State Board of Elections and Ethics Enforcement agreed. Board members voted to send a letter to Senate President Pro Tem Phil Berger (R-Rockingham) and House Speaker Tim Moore (R-Cleveland) last week, asking that lawmakers give them at least 24 hours’ notice before introducing legislation that will impact the elections they have to run. The letter was dismissed on the floor of the House by Rep. David Lewis (R-Harnett), the bill’s sponsor. Lewis said he didn’t believe board Chairman Andy Penry, an attorney, has any elections expertise. Gerry Cohen served as Director of Legislative Drafting at the General Assembly for 30 years until 2012, then served two more years years as Special Counsel. He knows a few things about elections and drafting legislation, and said this is not the way to craft an election law. Early voting has been a partisan battleground for years. Last year, the General Assembly’s Republican majority was handed a federal appeals court defeat. That stymied a 2013 effort to make cuts to early voting, create a photo ID requirement and eliminate same-day registration, out-of-precinct voting and preregistration of high school students. That fight is likely to continue, Cohen said — and lead right back to the courts. The new bill would set the early voting period to begin Wednesday, Oct. 17 and end Friday, Nov. 2. That would eliminate the final Saturday of early voting before election day — the most popular early voting day, especially among Black voters in North Carolina. In 2014, 103,513 voters voted on that day and in 2016 it was 193,138. Unlike Election Day, early voting is a “one stop” period in which people can register to vote on the same day. During the House debate, Lewis justified the removal of the popular last Saturday by saying it gave elections offices and elections workers a break to prepare for a busy Election Day. 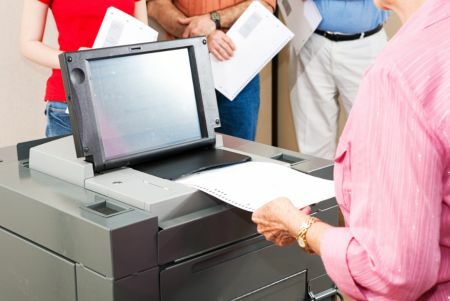 That’s a break most offices don’t need, elections directors across the state said this week, as they usually have the flexibility to set their hours and staffing levels where they need them to deal with Election Day and early voting as their county finds necessary. The bill went to Gov. Roy Cooper Friday. A veto is anticipated, but Republicans in the General Assembly appear to have the votes to override, as they have with several others already this session.